Expert group and individual guidance from an experienced coach on topics ranging from form drills to stretching to in-run fueling and everything you need to be your best running self. Day-by-day running schedule tiered for all training levels. Weekly, supported runs and speed session(s) tailored to your specific goal. Weekend long runs with maps on a fully supported course with water/electrolyte stops. 15% off on running shoes and gear at all JackRabbit stores. See below for more details on each option. Then, click on one of the location buttons below to see the options at that location and to sign up. No experience required! Whether you are completely new to running or re-starting after time away, this run, run/walk, or walk to run program will help you build from the beginning to a 5K. Our expert coaches will guide you on a safe and easy run/walk ramp-up, while also equipping you with knowledge about form, nutrition, hills, stretching, injury prevention, and more. This training program meets 2 times per week with the group for coached sessions, once during the week and on Saturday mornings. Looking to train for a half marathon? 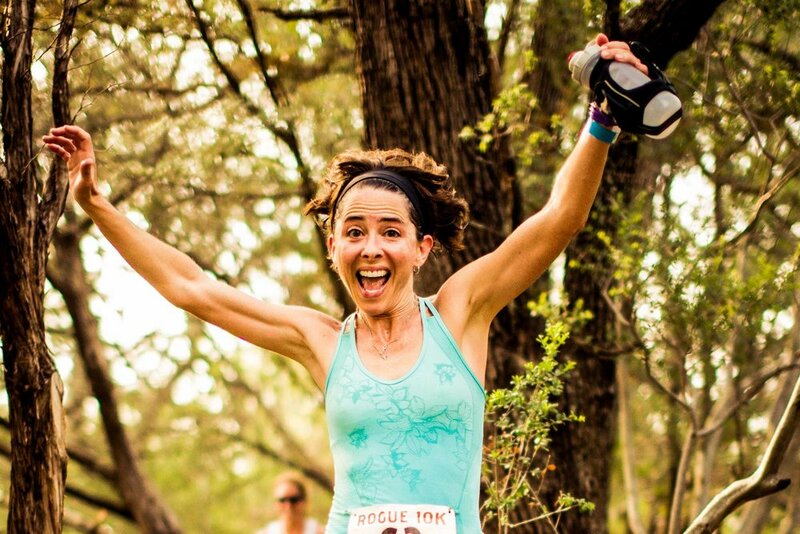 Whether you are shooting for your first half or your fastest, Rogue takes this pure distance running event and gives you life changing, heart pounding, crazy fun training! The program is built in phases with workouts designed to get you ready for your goal race. You will meet 2 times per week including one "quality workout," , and a long run on Saturday. You must be able to run or run/walk (4:1 run/walk ratio) 4 miles consistently before the beginning of this program. This program is designed for those looking to run 26.2 miles, whether for your first time or for your fastest time. If you are a first-time marathoner, we will get you ready to cover the distance. If you are an experienced marathoner, we will help you fly as you build to a peak weekly mileage of 35-55 miles per week depending on your level. You will meet 2 times per week including one "quality workout," and a long run on Saturday. You must be able to run or run/walk (4:1 run/walk ratio) 6 miles comfortably before the beginning of this program with ~20 miles per week already built into your routine. This program is for experienced marathoners who are looking to qualify for Boston or run faster. Runners do not necessarily have to be "fast," but they must be focused, consistent, goal-oriented, and interested in running 55+ miles per week. In this group, you'll find a fun-loving but deadly focused group of runners who elevate each other in training and racing all year round. Team Rogue groups meet three times per week and are expected to commit to a challenging, periodized training schedule under the direction of experienced coaches. You must be running 45-50 miles per week consistently to join this group. Currently, this program meets at the JCC of Dallas on Tuesday/Thursday at 5:15 am and Run On! Mockingbird on Saturday at 5:30 am. 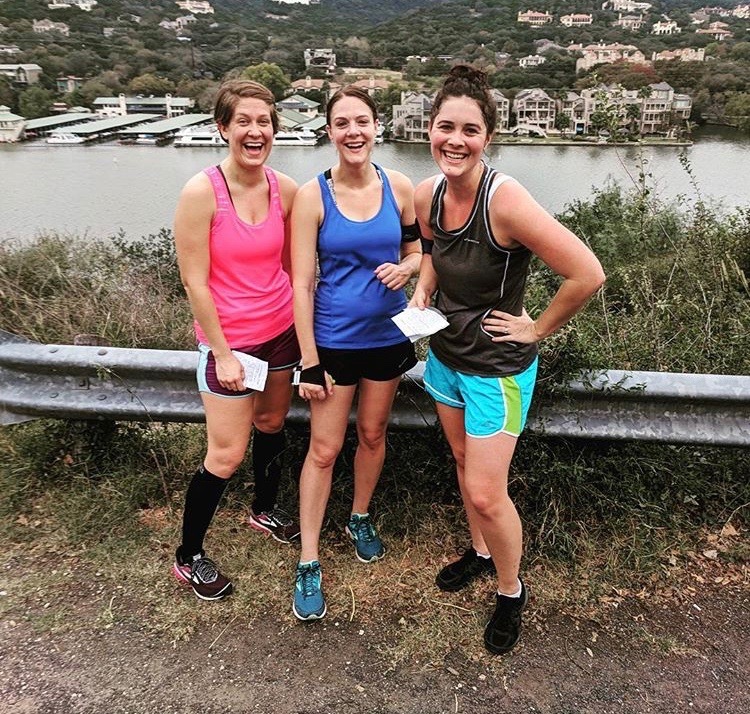 This program is for all levels of runners who are looking to maintain fitness and mileage before transitioning to a goal-focused training block. You will build your base mileage while maintaining a little bit of speed in order to be primed and ready for a later 15K, half marathon or marathon training cycle. You will meet 2 times per week including one "quality workout," , and a long run on Saturday. No experience required -- be ready to work hard and be a little sore, but you will get stronger! 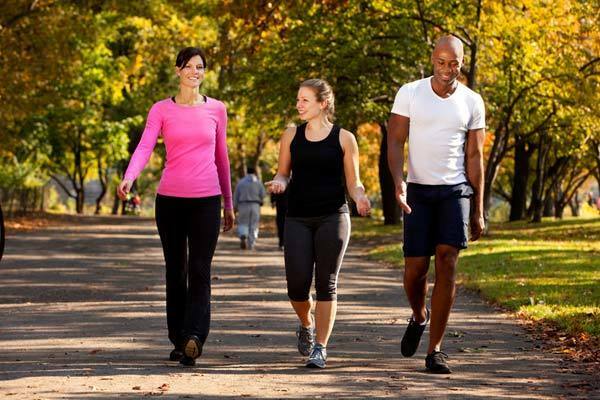 This class provides a supported walking venue for those that want to walk for exercise, get some fresh air, and of course – have fun! Class meets at the Dallas Mockingbird store every Saturday morning at 6:00 a.m.
You will have access to bathrooms inside the store, and have a place to leave your car keys while you are out. SAFETY – although not required, we highly prefer you have some type of safety light. You will enjoy a 15% discount off store merchandise. A few exceptions apply. There is no coaching although some will naturally lead and help keep things organized. You will ultimately be responsible for the distance you walk and the pace you walk. You will have access to the printed route and water stops our distance runners use. We highly recommend you bring a hand held water bottle to fill up at the store in case a water stop gets pulled before you are done. Invite your friends and family – but not your pet. We will allow strollers and assess how that plays out as we go along. This class is designed to be an off-season training program that will improve speed and stamina for runners. The target runner is someone who continuously trains for distance runs and wants to break that cycle up. The training includes running on road with rolling terrain and track. It will include movement preparation exercises & basic core strengthening. Runners will participate in two 5K races during the program. 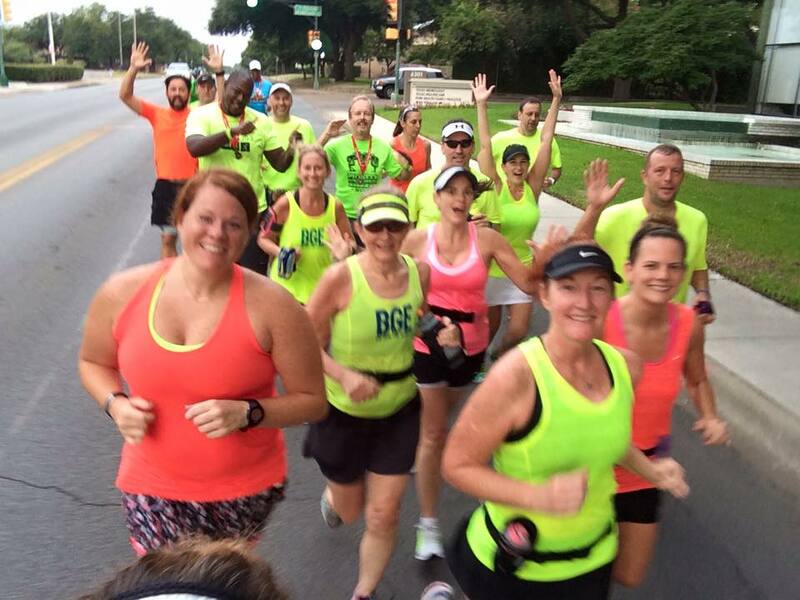 Class meets near JCC Dallas and Allen High School 5:00 a.m. Tuesdays and Thursdays and will meet for the long run 7 a.m. Saturday mornings at same locations. Space is limited in this class! Any race fees are not included. Please note: this class trains using heart rate as opposed to pace. It’s a more self-sufficient class than our traditional classes. There will be times when you are running without a group in this class due to differences in fitness and endurance, and you will bring your own water. Dates: February 23, 2019 thru April 20, 2019 Sign up: go to Mockingbird location sign up for Dallas link and Allen High School location for Allen link.